Michael Hudson was born and raised in Chicago, Illinois. He went to high school at the University of Chicago's Laboratory School. In 1959, he received his B.A. in Philology with a minor in history from the University of Chicago. In 1963 he received an M.A. in Economics from New York University, with a thesis on the World Bank's philosophy of development and lending policies in the agricultural sector. In 1968, he received a Ph.D. in Economics from New York University with a thesis on American economic and technological thought in the nineteenth century. After graduating, he went to work for Arthur Andersen and Company, where he wrote A Financial Payments‑Flow Analysis of U.S. International Transactions: 1960‑1968. He spent a year as an economist for Continental Oil Co. before becoming an economist for the Hudson Institute, where he published several studies. He has held several consultant appointments for financial institutions, government agencies, the United Nations Institute for Training and Research, before becoming President of the Institute for the Study of Long Term Economic Trends in 1996, where he continues to write reports and books. Hudson served as Chief Economic Advisor for Dennis Kucinich’s 2008 presidential campaign and holds the same position in Kucinich’s Congressional campaign. He has been economic advisor to the U.S., Canadian, Mexican and Latvian governments, to the United Nations Institute for Training and Research (UNITAR), and he is president of the Institute for the Study of Long-term Economic Trends (ISLET). 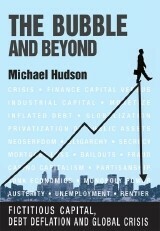 Hudson is a former balance-of-payments economist for Chase Manhattan Bank and Arthur Andersen, and economic futurist for the Hudson Institute (no relation). For Scudder, Stevens & Clark in 1990, he established the world’s first Third World sovereign debt fund, which became the second best performing international fund in 1991citation needed. 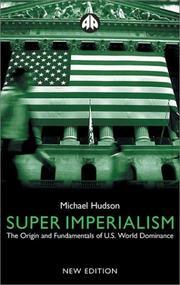 In 2007, Dr. Hudson was Chief Economic Policy Adviser for the Kucinich for President campaign. He is now writing a new tax policy for the United States. Are you sure you want to remove Michael Hudson from your list?